Do you want to keep up to date with what is happening in Merimbula? Here are 5 ways that you can stay up to date with everything. If you have any questions about any thing else happening in Merimbula, please contact us. 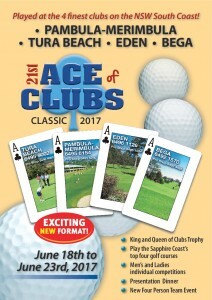 The Ace of Clubs golf classic is one of Merimbula's premier golf events. It is run each year in June includes tournaments at some of the finest golf clubs on the South Coast of NSW including Pambula Merimbula Golf Club, Tura Beach Country Club, Eden Gardens Country Club and Bega Country Club. The tournament includes a 2 person Ambrose Event and a 4 round single stable event with the winners in the 4 round event being crowned as the King and Queen of Clubs. The event also includes fun social events for golfer and non golfing partners. The Merimbula Fun Run is held in May each year. Starting and Finishing at Ford Oval, Ocean Drive the IAAF certified 10km and 5km courses follow a scenic loop showcasing the magical coastal town of Merimbula. Last year was a great event and next year the organisers expect an even bigger crowd to attend. The track winds around the Fishpen, and right past the front door of Lakeside Holiday Apartments which makes the perfect location to stay if you are coming to participate, or even to watch. 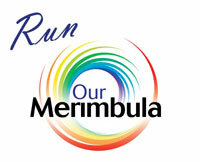 For more details about the Merimbula Fun run visit the web site or facebook page or contact us to make a booking. 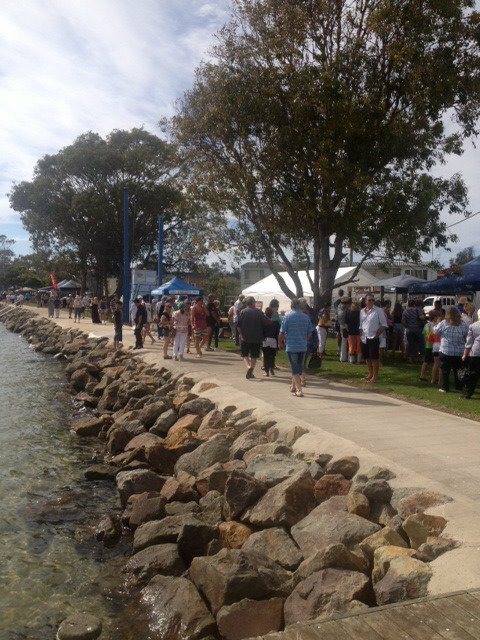 EAT Merimbula is a festival of flavours and is held each year in March on the foreshores of Fishpen. Imagine market style meets restaurant quality. Local restaurateurs, chefs, cooks and foodies lined the scenic walkway in front of Lakeside to peddle their delicious wares! You can enjoy locally made ice cream, seafood paella, tapas, gourmet chocolates and Peach Melba crepes. A jumping castle and face painting, hosted by Lakeside, adds to the festive atmosphere. Local delicacies from farm to ocean were enjoyed with seasonal local produce adding flavour and zest. With an ever increasing awareness of ethical food production, food miles and the like, EAT Merimbula stands to make people aware of the food choices they have available within this local area. Merimbula has long been known for her beautiful beaches and scenic panoramas. The EAT Merimbula event will certainly have visitors remembering the place for the fabulous food as well!